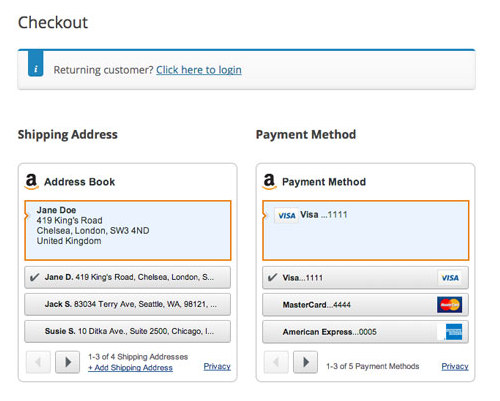 After signing in, the customer is redirected to a special simplified version of the checkout, which shows the Amazon widgets. Customers choose their desired shipping address and payment method, and this refreshes the WooCommerce order totals as normal. At that point, the customers can click the place order button. 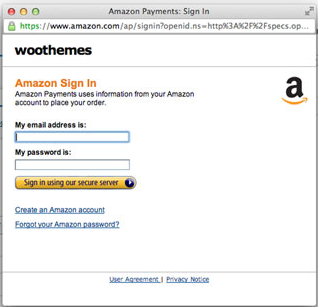 This creates an order in the WooCommerce system for you to process.